Gone were the days when the workplace was merely a physical space where employees bury their faces in laptops, typing frantically away from nine to five. In this modern age with internet technology and a highly mobile workforce, employees are no longer tied together by time, space or societal norms. For instance, technological advancements for mobile phones have empowered the workforce to complete tasks on-the-go further than we would have imagined a decade ago. This trend is no surprise as millennials account for increasingly high smartphone ownership and internet usage. By incorporating mobile technologies, communication barriers are broken down and employees can operate in different time zones and locations. Companies are able to transform the employee experience by cultivating the innovative spirit, increasing productivity and focusing on employees’ career and personal growth. In addition, embracing change by allowing flexible arrangements will not only lead to increased productivity and business growth, but also save resources and cut costs. Perhaps, this also explains why choosing hot desking spaces has become an attractive alternative to using fixed workstations. 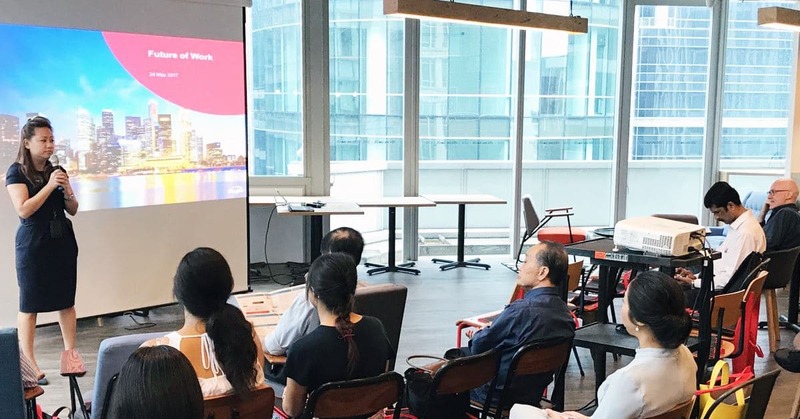 Singtel experts were invited to our stylish coworking space at 120 Robinson Road, to share mobility solutions that every business should consider. 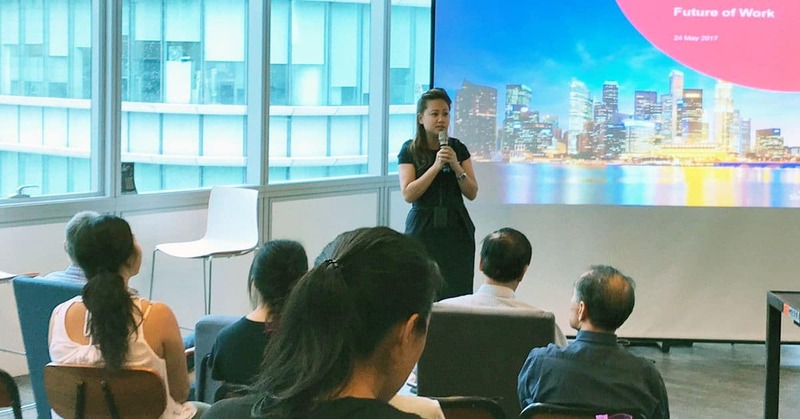 Ms Sarah Lee (Segment Head, SMEs, Group Enterprise, Singtel) had the honour of opening the session while Ms Nyx Ching (Team Lead – Startups and Small Businesses, Business Group, Group Enterprise, Singtel) imparted her knowledge about ‘Workplace of the Future’. Embracing change will not only lead to increased productivity, it will also promote business growth. Mr Othniel Liew (Associate Director – SaaS Business, Group Enterprise, Singtel) further elaborated about the benefits of digitalising our mobile workforce before ending the event with a Q&A session. Thank you Singtel for inspiring companies and startups on embracing this technology change, making our future workplace a better place.